Here is a picture of my Fatali African habenero, with a chocolate habenero. The Fatali is the hottest thing I've ever grown. Big 4 foot plants. The chocolate habenero is 5 foot tall, a tremendous plant, but did not bear very well. The Fatali had dozens of peppers. My habaneros are just now starting to mature. I envy you the size of your plants! Mine are two feet tall and staring winter in the face. I bought a Habanero mix a year or two ago. I never did figure out what the long crinkly yellow ones are. I don't have any mature chocolates yet. A few are halfway done, but I decided I'd photograph the yellow one with the red ones, which I think are just plain Habaneros. 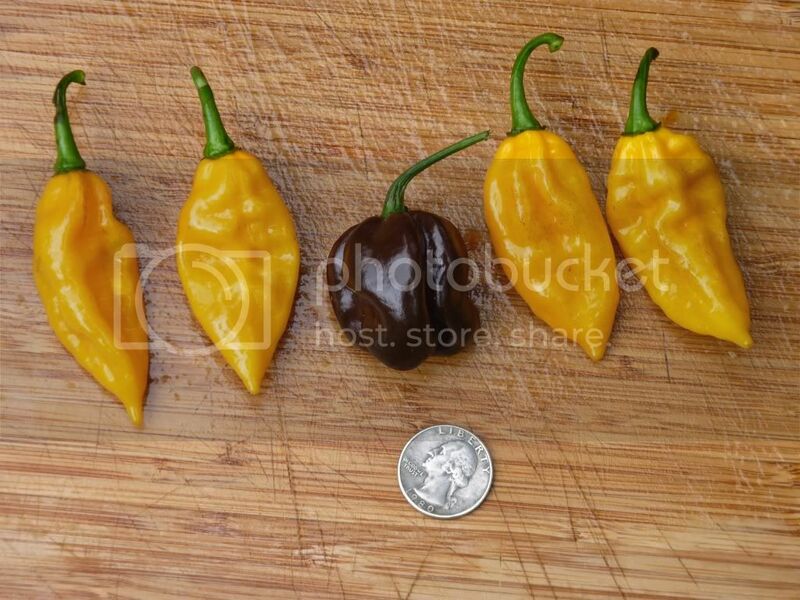 Is the one in the middle a fatali? The Fatalis are the yellow ones. Looks similar to your yellow pepper. 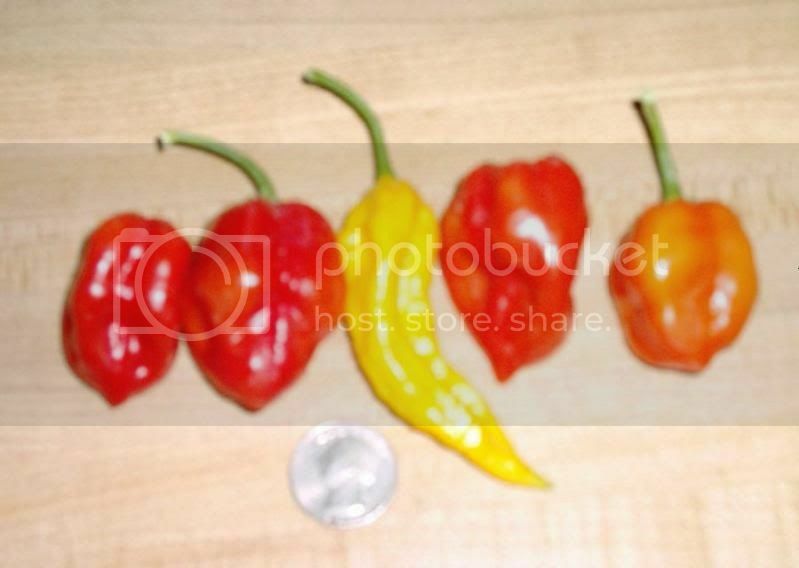 There is a yellow ghost pepper that looks like yours too.